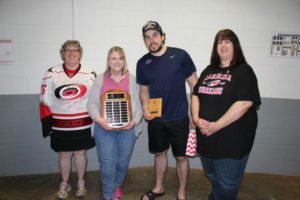 Each year the Carolina Hurricanes Booster Club holds the Fan Favorite of the Year Award. 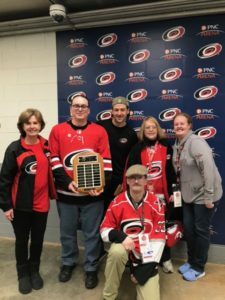 Fans can vote for their favorite Carolina Hurricanes Player for a $1 donation. 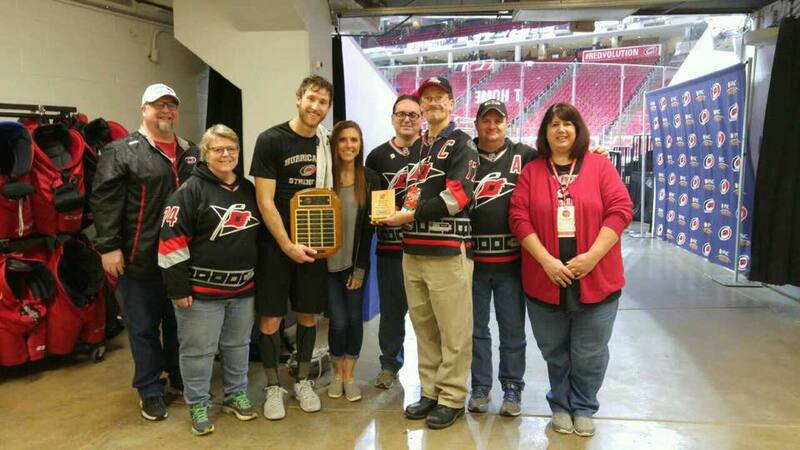 For each dollar donated, a vote is recorded for that individual’s player of choice. 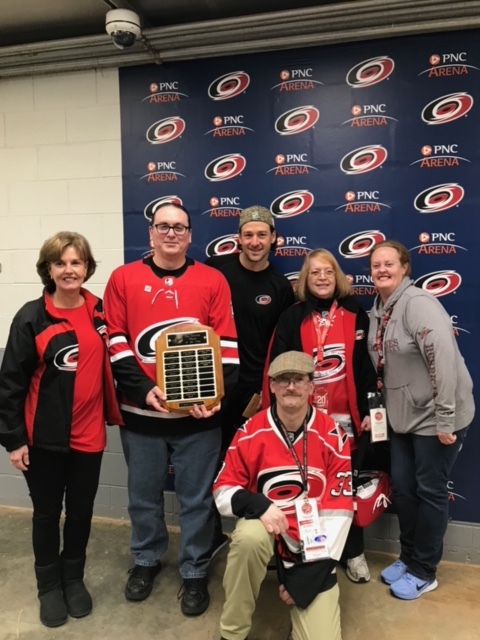 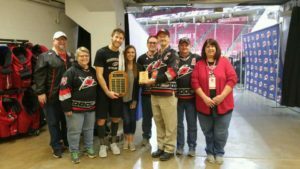 At the end of the season, the Booster Club donates 100% of the proceeds to the Carolina Hurricanes Foundation and presents the winning player with the Fan Favorite Plaque. 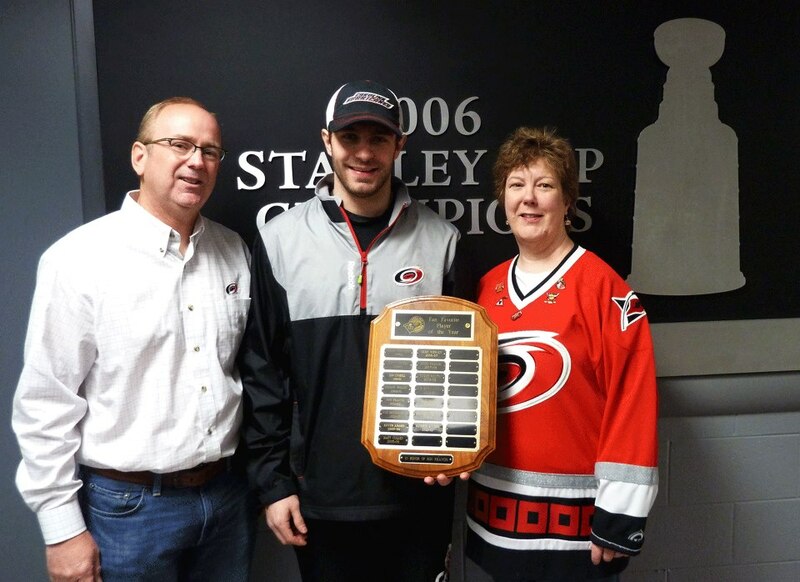 Following his retirement in 2004 the CHBC Fan Favorite Award was re-dedicated to Ron Francis with the engraving “In Honor of Ron Francis” added to the bottom of the plaque.